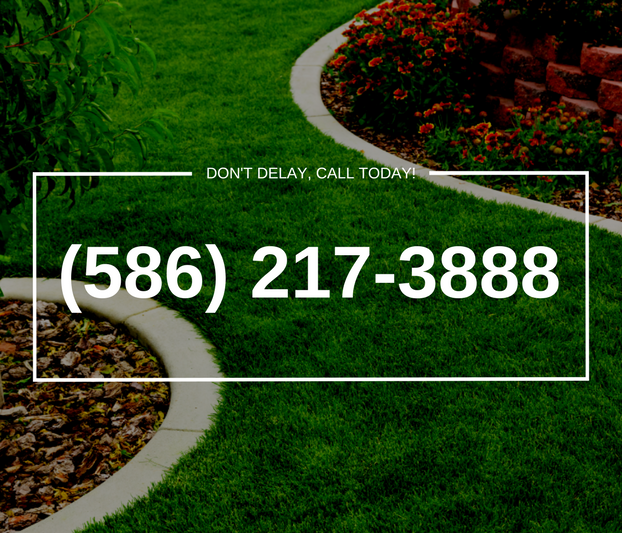 Some of the cornerstones of lawn care are known to virtually everyone. Obviously, just like all plant life, grass needs adequate water and sunlight to survive. To be at optimal health, most people also know that fertilization will also periodically be required. Weed control would also rank high on the awareness of the average layperson. However, there is another job that is arguably just as critical, yet some may not think of it, or may have just a passing awareness. It is important because it helps enable and synergizes the other mentioned components. That job is the periodic aeration of your lawn. 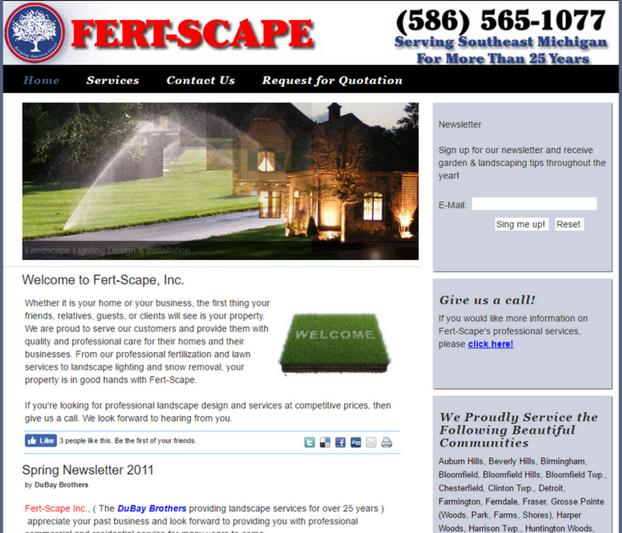 For business and home owners in the region of Sterling Heights, Fert-Scape Inc. has the staff, knowledge, and the equipment necessary to do the best job around town. Though you may wonder why having plugs of dirt pulled out of your turf is a good thing, aeration has incalculably valuable effects for the short and long term health of your lawn. The reason aeration is necessary is the compaction of the soil. Due to weather factors such as rainfall, as well as usage via walking, playing, and maintenance activities like mowing, the soil in your yard will become weighted down, and more tightly packed. This has the effect of making it more difficult for water and fertilizer to permeate through and get to the root. It also makes it harder for our friends, the earthworms, to turn the soil from underneath and replenish the topsoil with nutrients. Aerating the soil will uncompact it, providing an easier path for water and fertilizer to soak through the top of the soil and get to the root. Aeration needs to be performed at least once per year. Depending on the type of soil you have, and how often it is used, you may need to have it done twice. While it can be done anytime, it is best performed in the autumn or spring. The growth of the grass is the fastest at this time, hence it is when roots have their best opportunity to deepen. Also, because these seasons have optimal growth conditions, when new seed is planted after aeration, it will consequently grow in sooner, thickening out the lawn more rapidly. There are two basic types of aeration that are done on yards – spike and core. Spike aeration consists of making holes in the soil by stabbing. This has the effect of pushing the soil to the side. While it may open a pathway in the area that was poked, it also pushes the dirt to the side, making it even tighter in that area. Fert-Scape Inc. uses the core aeration technique, which actually removes small, round plugs of soil from the lawn, and leaves them on top of the grass. This will ensure uniform loosening of the dirt as the soil falls together to eliminate the gaps. Additionally, the plugs will disperse after a few days, or with the next mowing, and the loose dirt will settle back into the lawn. Immediately after the aeration, overseeding is strongly recommended. The new seed, and thus a thicker lawn will make the grass more naturally resistant to weed growth, due to less available space for them to take root. If you have not had your lawn aerated in over a year, do not wait for another to pass. Our professionally trained technicians will use our state-of-the-art equipment to give your lawn a first class aeration. We continue to serve the Sterling Heights and Metro Detroit area; give us a call or reach us through our contact page.